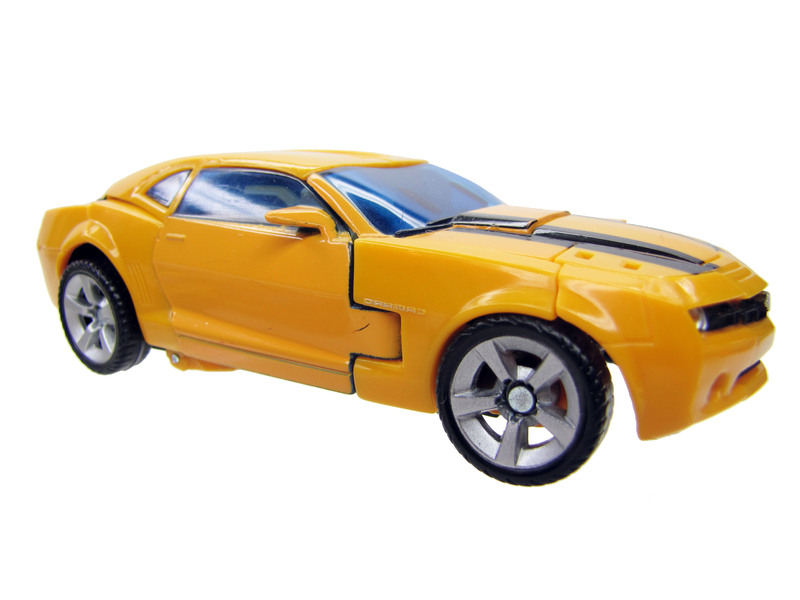 Before he came to Earth, Bumblebee could have cared less about his appearance. As long as his alternate mode kept him hidden, and protected his plasma cannon from the weather, he was content. But now, on Earth, he has found friendship for the first time in as long as he can remember, in the person of Sam Witwicky. At Samâ€™s urging, he scans a sweet new vehicle form. Now, heâ€™s still ready to fight to the end against the Decepticons, but he sure hopes nothing too bad happens to his paint job.